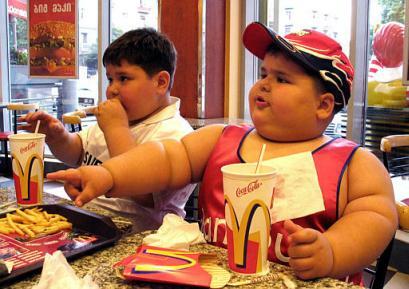 America is the most obese country on Earth. From people using their rotund bellies as makeshift tables to Paula Deen adding a smidgin’ of pure lard by the short ton to her cakes, America has grown accustom to lifestyle and habits that lead to body fat accumulation. Today the American Medical Association (AMA) ruled that obesity will be classified as a medical disease. As such, any person who is ruled medically obese is now a diseased individual. While the classification can do wonders in requiring health insurances to support medicinal, lifestyle/therapy and medical procedures ordered by doctors that can help ‘alleviate’ the disease, America may soon have a very real burden on its hands. Perhaps the AMA missed an important consideration: nearly fifty percent of Americans are obese, with an alarmingly growing trend of those being morbidly obese. In 2014, the Affordable Care Act will expand government issued insurance to all those who do not have insurance. People who are obese, soon to be the majority of Americans, can claim disability for their obese disease and will have rights to full medical treatment for their disease. Such a qualification will also allow people to claim full disability benefits, including food, house subsidy and a monthly stipend. 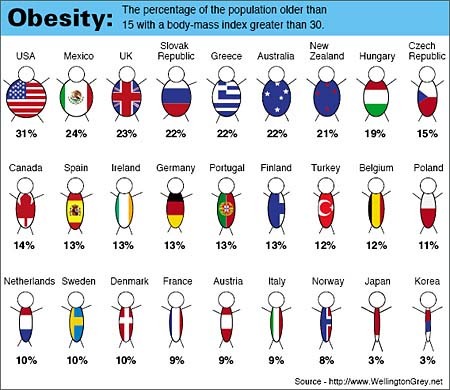 Can America risk a good portion of the population taking advantage of their obesity? The nation’s leading physicians did not come upon the decision to classify obesity as a disease with great ease. Some analysts have seen the move by physicians as a move to squeeze more money out of insurance companies. In all actuality, the issue was heavy debated, with physicians being heavily divided on whether their classification would do more to help affected patients get useful treatment, or would rather cause a stigmatized, victim mentality that has obese people giving up and giving in to an assisted system for their ailment. In the end, despite numerous warnings, America’s medical association decided to extend the diagnosis of Obesity Disease to over one third of America’s adult population and nearly 20% of children in the nation. “Recognizing obesity as a disease will help change the way the medical community tackles this complex issue that affects approximately 1 in 3 Americans,” said Dr. Patrice Harris, a ranking AMA board member. In an ideal world, the ruling will mandate primary care physicians seek any and all treatment options for patients presenting with obesity. All employers will have to recognize those who claim obesity as a disease and accommodate their needs. Procedures such as liposuction, weight-loss regimens and gastric bypass may become more commonplace, as a person’s primary care doctor may rule these procedures necessary in alleviation of obesity, which is deadly and increases risk of stroke, heart disease and diabetes. Over the next 20 years, these obese-related diseases are projected to cost the nation’s medical bill over $550 billion. Lifestyle Change: America’s trend of massive roadways, sedentary lifestyle and fat heavy/carb heavy/sugar heavy over-portioned diets helped lead to the current crisis of obesity. While the tongue-in-cheek cure may be ‘stop eating so much’ or ‘stop giving your kids McDonald’s for dinner’, it is important to realize not all obesity is caused simply by overeating as a lifestyle choice. Even in conditions such as diabetes with genetics as a causal factor, the body literally goes into a vicious craving and thirst cycle. Considering the rate of obesity in America has been on a strong climb, perhaps officially requiring physicians to address the issue can help curb the trend. But until America as a whole undergoes major lifestyle changes and promotes healthy lifestyle, especially in the price of healthy foods versus junk foods, we may be on an inescapable path of literally eating our culture to its death. 2 Comments on "AMA Rules Obesity Is A Disease"
So you copied your own article again?